OverviewDo you want your event to really rock? 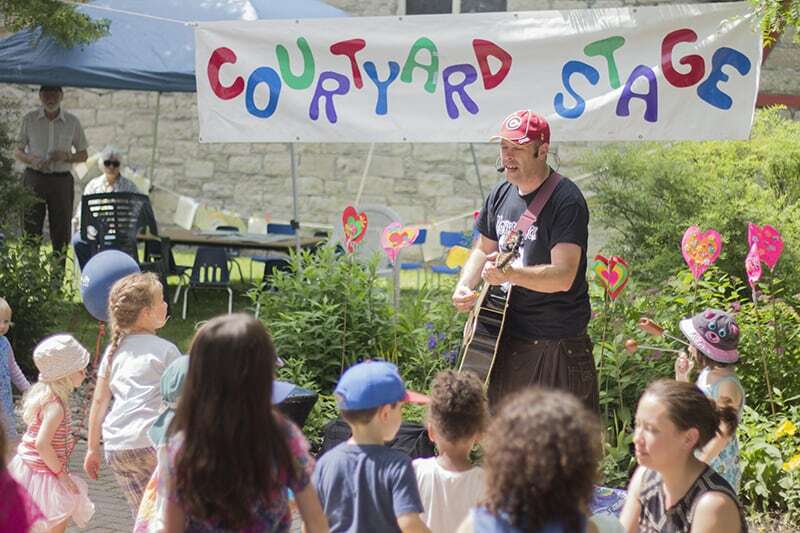 The entertainment at your child’s party can be hassle free- your preferred instructor will bring along their guitar, a big bag of musical instruments and the rainbow parachute to play with! DetailsSo, what happens at an event? We do targeted performances from preschool to grade 6. 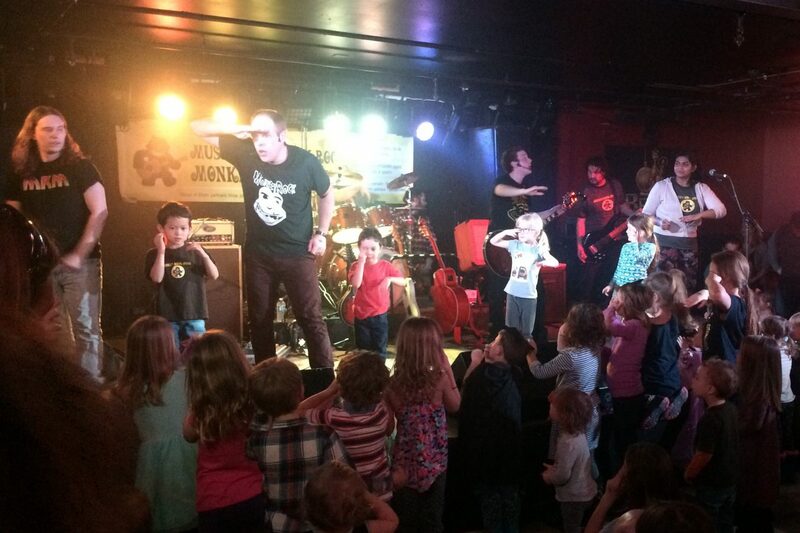 Our shows are 100% participatory – that is, every song has the audience not just singing, but doing actions, dancing, and even up on stage playing instruments. 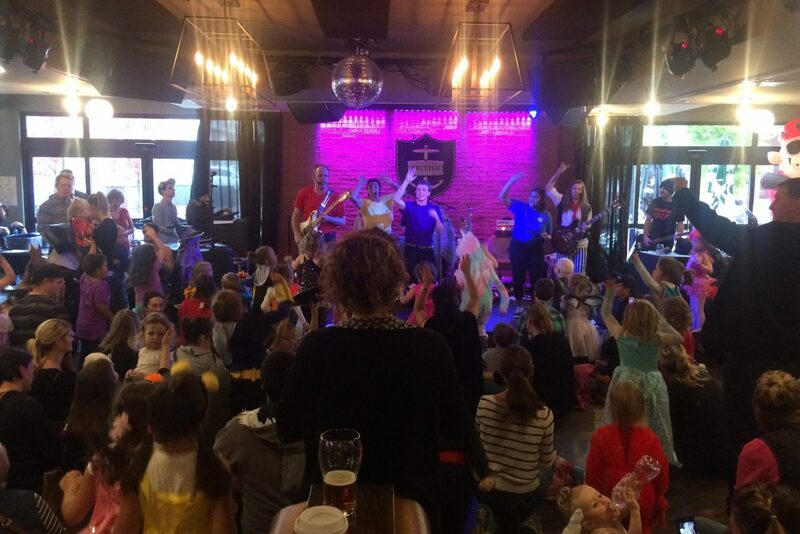 We believe that kids want more than to just sit and watch us sing – they want to be part of the fun! Shows last anywhere from 45 minutes to 1 hour long, depending on the type of event you are booking. Definitely! Let us know your favourites and we’ll do our best to include them in the set list. From 15 kids to 1000 seat auditoriums, there are Four Types of Events we book! More intimate show Instructor performs with children and adults in a circle on the floor and will use children’s names in songs. 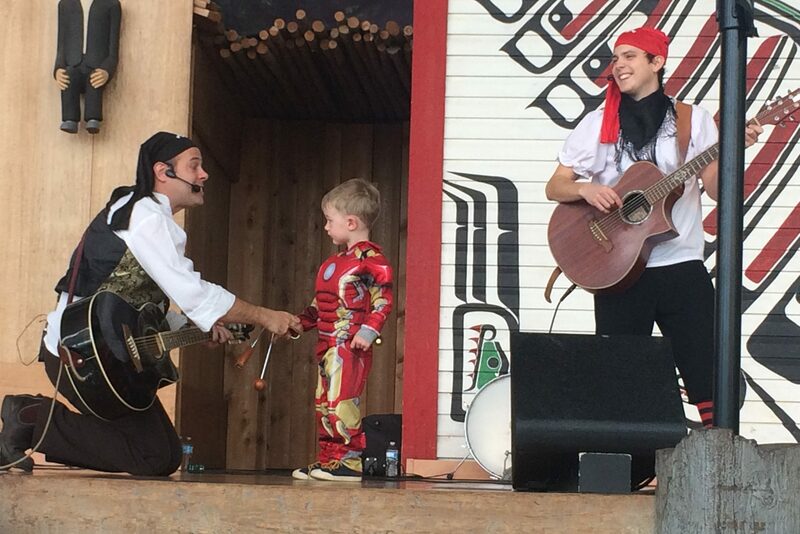 FULLY interactive two person show where both children and adults will participate on stage for the majority of songs. Songs will include Monkey Rock Originals, some children’s favourites, classic rock current child friendly Top 40 POP hits! NOTES: May be outdoors or indoors; may be open to the public; requires 2 x 5 meter ‘stage area’ (ideally a raised stage); requires power supply within 10 feet of stage area. Click below to get a quote and determine availability. For more info, email events@monkeyrockmusic.com.